SSC CGL Tier 1 Exam Admit cards 2017 download, Exam from August 5 to 24: The Staff Selection Commission (SSC) has finally released the admit card for Combined Graduate Level (CGL) exam 2017 today. The admit card of SSC CGL 2017 can be downloaded either from Regional SSC website or from the SSC online portal. The regional offices of the commission, earlier in the day had released the exam city, test date, and time slot allotted to successfully registered candidates. The admit card has followed close on the heels of the test day details. 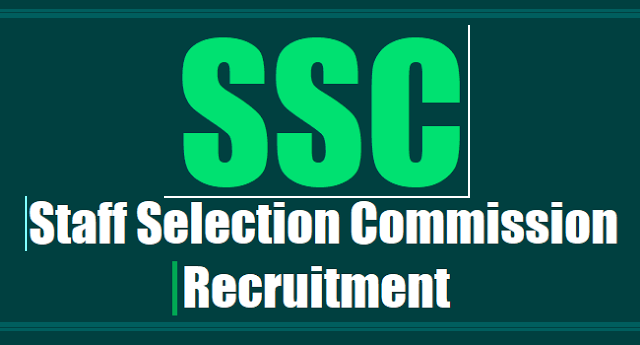 Staff Selection Commission (SSC) has made changes in the schedule of Combined Graduate Level (CGL) exam. SSC CGL 2017 which was supposed to begin on 1 August, has been rescheduled to 5 August. Likewise the exam will conclude on 24 August instead of 20 August. As of now, it was assumed that the Commission will release CGL 2017 admit cards soon; but with the shift in the exam date, it can be delayed. Candidates should also note that there will be no exam on 7, 13, 14 and 15 August. SSC CGL 2017 aspirants, nationwide, have been preparing for the exam and the change in the exam date is ought to give them more time for preparation. he Staff Selection Commission (SSC) has released the admit cards of SSC Combined graduate level (CGL) 2017 Tier I examination on the official website, the link for which issscnr.net.in. Meanwhile, the admit cards have been released only for candidates belonging to Northern Region. How to download SSC CGL Tier 1 Admit Cards 2017: Firstly Go to the official website, sscnr.net.in, Click on the link, "STATUS OF COMBINED GRADUATE LEVEL EXAMINATION -2017 (TIER-I)", Enter your Registration Number/Roll Number/Date of Birth/Full Name, Click on ''Search Status", Admit cards will be displayed and Download and take print out of the same for future reference. Step one: Go to the Regional SSC website or SSC online portal (ssconline.nic.in). Step two: Click on the SSC CGL 2017 link or the respective admit card link on the regional website. Step three: Enter your roll number/registration number and date of birth and click on submit. Step four: If you have forgotten or misplaced your registration number then enter your parent's name in the space provided and date of birth and submit the information. Step five: Your admit card will be displayed on the screen. Save and download the same. Do not forget to take a print out of the necessary instructions for the candidates too as it not just contains guidelines to be followed but also the list of documents and stationery which will be permissible at the exam centre. In case you do not find the admit card download link on respective Regional SSC website, then wait for a few hours for the link to be activated and do not panic. Also make sure to cross-check the information mentioned on the admit card with your application form and check if the test city, time, and date match with what was published by the Commission earlier in the day. SSC CGL descriptive paper tier-III will be held on January 21, 2018.